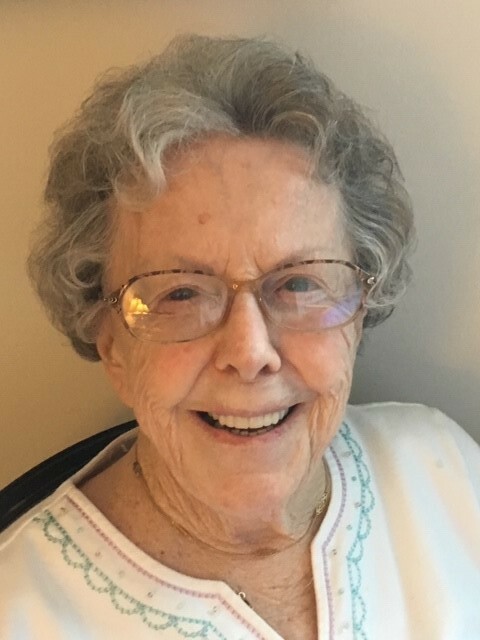 Obituary for Lucille B. Anderson | Longwood Funeral Home & Cremation of Matthew Genereux, Inc.
Lucille B. Anderson, age 95, entered into rest peacefully at home in Kennett Square, Pennsylvania on Friday, January 11, 2019, surrounded by family. She is the daughter of the late Elphege and Anna Coneau Bussieres and the widow of Carl F. DePalma of Westport, Connecticut and widow of second husband John “Jack” Anderson of Port Orange Florida. Lucille was born in Celestin Counte, Nicolet, PQ, Canada, and grew up in Newport, Vermont where she attended school with her 5 sisters and 3 brothers. She was a long-time resident of Westport, Connecticut where she raised her four children. She was pre-deceased by her third son Carl “Donnie” DePalma and survived by William DePalma, and his wife Marie of Weston, CT, Richard DePalma of Peru, MA, Patricia Slesinski and her husband Henry “Hank” of Kennett Square, PA, sister Pauline Theriault of Rindge, NH, three step-sons, John Anderson II, Kevin Anderson both of Fort Myers, FL, Charles Anderson of Louisville KY; two step-daughters Margaret Bergau of Cape Coral, FL and Alicia D’Andrea of Knoxville, TN, 6 grandchildren, 3 great grandchildren, several nieces and nephews and 5 great grand-doggies. Lucille retired to Florida to a life of daily golf, travel, knitting elaborate designs and “doing less” in 1983 with Jack. She migrated north a few years after his passing in 2009`, where she resided at Harrison Senior Living of Chester County, PA for almost 10 years. She was excellent homemaker, tailor and gardener and an active member of the local Catholic Daughters of America. She worked as a nurse’s assistant for the Fairfield County Nurses Association prior to moving south. CHANGE: Services will be private. In lieu of flowers, memorial contributions may be made in Lucille’s name to Holistacare Hospice, LLC, SunCatcher Fund, 685 Kromer Ave, Berwyn, PA 19312..